Well, you got what you wanted Randall Pearson, how does it feel? 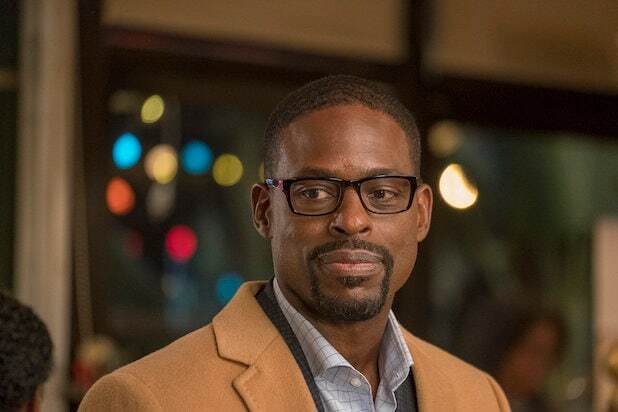 In the final moments of “The Last Seven Weeks,” the midseason return of “This Is Us,” Randall (Sterling K. Brown) and Beth (Susan Kelechie Watson) found out, while lying in each other’s arms in bed, that he had actually beat out longtime incumbent Soloman Brown for the Philadelphia City Council seat he’s spent a good amount of his — and his family’s — time vying for on Season 3 of the Dan Fogelman-created drama. But now that Mr. Pearson has won the election — after pulling a 180 and deciding to focus more on his family due to the amount of stress the campaign put on his wife and daughters, not to mention the amount of time it kept him away from them — he isn’t exactly thrilled about the win. But he’s not upset either. It’s all rather confusing, so let’s let Brown himself explain it to you the way he did to us. After November’s midseason finale saw Beth kick Randall to the couch for digging his heels in about the race, by the end of Tuesday’s episode, it seemed everything had gone back to normal. But then came the rub of Randall’s win and now we’re wondering whether that sets Randall and Beth back again — and if this is somehow the event that leads to Future Randall and Future Beth possibly not being together decades from now, as the fall finale implied heavily they may not be. You can read Brown’s answer to that question and the rest of our Q&A below. TheWrap: OK, how does Randall feel about winning? Let’s start there. Brown: There is a mixture of emotion. It’s not pure jubilation. There’s shock. He didn’t anticipate it. He knew he was running against the incumbent, he was running against the favorite, and he only thought through- well, first of all, because he thought it was the right thing to do, and he made a promise, and then he ultimately received the support of his wife. But I think he was really ready, and almost hoping, to put it to bed. And the fact that he actually did win is invigorating in that, the fruits of his labors paid off, but now the question of “now what?” looms very largely in the air. There’s a two-hour commute back and forth to Philadelphia. How does that affect his family? How does that affect his wife? There’s a lot of questions to be contemplated and figured out with this new shift, this new change in his life. It seems like by the end of the episode Randall and Beth have gotten back to a good place. But how will this news of his win affect them right now — and does it affect them going into the future, where fans are concerned after the midseason finale Future Randall and Future Beth are no longer together? Excellent, insightful, thoughtful theory. Listen, it causes some tension (laughs). It causes some tension because he didn’t think it through in terms of like, “That’s four hours just in a car that I have to be away from my family every day. Some nights I’m going to have to stay the night. And I’m going to have to do this for several years. Like, I’ve made a commitment to these people, I’ve made a commitment to my district. And how does that sort of affect what my wife has to do in order to maintain things on the home front?” It gets tense. The back half of the season is a real sort of roller coaster for Randall and Beth, but I am always hopeful that these are two people that always find their way back together. But they are going to have to work for it. How did you feel about the reveal Rebecca is the mysterious future “her” we’ve all been wondering about? How soon are we going to find out why everyone is gathering to see her? We’ve all [in the cast] known that it’s Rebecca, though the audience didn’t know, and we know why it’s Rebecca and you guys will find out at the end of the season what it is. Yeah, you’ll see at the end. Why do you think Jack kept Nicky a secret from his family, because it appears he told no one about Nicky surviving? He didn’t. He did not tell anyone about Nicky’s survival. And I can tell you that question will be answered, I can tell you the next question will be answered in Episode 311 — the next one. And it’s interesting too, because the people that I’ve spoken to about it have different takes about how they feel about Jack’s decision not to share the fact that his brother is alive, because it was a hard line in the sand, right? Like it’s an inflexible sort of, “This is what it’s going to be. I’m not going to change my mind on something.” And there’s an event that transpires that leads Jack to this hard line regarding his brother. And I’m curious to see how the audience will respond to this hard line that Jack has drawn in the sand. Did you get to work with Phylicia Rashad [who was cast as Beth’s mother] and how much will she be in Beth’s backstory episode — both in the past and the present? Ok so Phylicia a is throughout, she is in the past and int he present. Unfortunately yours truly did not the the chance to share the screen with her in this episode, but hopefully in future episodes that will be an eventuality because the woman is a national treasure and I adore everything that she does. Obviously everyone’s parents are pivotal characters in the development of this show and there is nothing different about the space in which Beth’s mom occupies in her life. And it’s a complicated relationship that the two of them have with one another. And in the episode in which we introduce Phylicia, Beth’s episode, they sort of have a come to Jesus moment that’s really loving. But I can’t say anything beyond just that. We heard some more about early Randall and Beth this episode. Will we see more of them in her backstory episode and is there anything in particular that you loved when you were reading about Randall and Beth “the early years”? OK, so we see a glimpse of Early Randall in Beth’s story. But Beth’s story is really about her. But moving forward, knock on wood, into Season 4, you’ll see more of Beth and Randall and how they came to be the beautiful R&B that they are. For you personally, were you hoping throughout this Randall campaign arc that he would win or lose? I’m always for Randall winning, but what I like about this win is that it’s not- well it offers him an opportunity that he hasn’t necessarily had to-date, which is sort of a full immersion into the African American community — his district being primarily African American, there’s other demographics there, obviously, but his desire to be of service to his community. And for so much of his life he’s felt as if he were on the outside looking in, and what an opportunity to finally be considered an insider. I think his heart sort of yearns for the adulation that Saul Brown gets from the people and hoping he can occupy a similar space because he’s doing good for his community. I think it was inspired actually, interestingly enough by Dan seeing a tweet about me associated with the “West Wing,” where Sorkin had mentioned the possibility of rebooting it with me as the president and Dan saying, ‘Huh, Sterling in politics. I didn’t even think about it.” And then he’s like, “I got an idea.” And he just sort of ran from there.